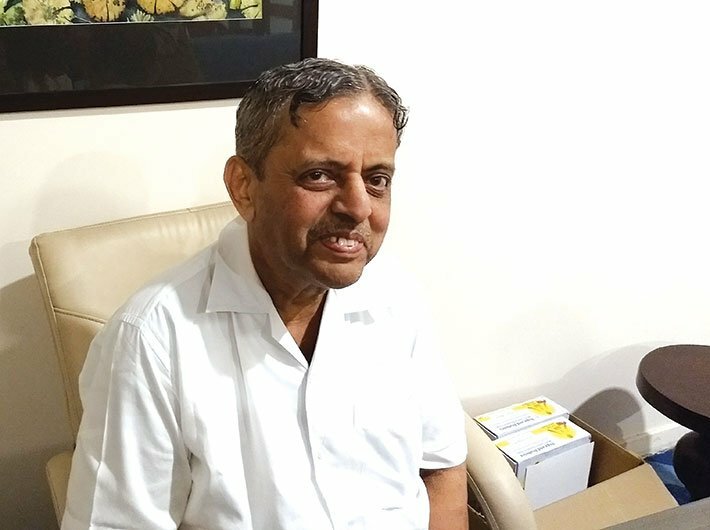 Popularly known as prime minister Narendra Modi’s yoga therapist, Dr HR Nagendra was awarded the Padma Shri in 2016. He talks about the recent study done under the initiative of the ministry of AYUSH to know the impact of yoga in curing diabetes. Popularly known as prime minister Narendra Modi’s yoga therapist, Dr HR Nagendra was awarded the Padma Shri in 2016. He has a doctorate in mechanical engineering from IISc, Bangalore. A former NASA scientist, he now heads several central government committees on yoga education and development. Dr Nagendra talks about the recent study done under the initiative of the ministry of AYUSH to know the impact of yoga in curing diabetes. What makes India more prone to Type 2 diabetes? Countries like India, China and Malaysia are genetically prone to Type 2 diabetes. Earlier, our lifestyle was good. We used to get involved in physical activities and our food was simple. Now the whole thing has changed. We hardly do any physical work. We take rich food in the form of junk food. We used to sleep at 9 or 10 earlier but now because of TV, we sleep at 1 or 2 and wake up late in morning. This makes a big change in the biorhythm of the system. We have to go back to the good lifestyle and yoga is the way of life we must adopt for being healthy. Read: Is yoga the new insulin? How can a change in lifestyle prevent diabetes? Can exercise or yoga prevent diabetes? The key feature of yoga in dealing with diabetes is its relaxation component. In the western lifestyle there is stress, which has the immuno suppressant factor. It creates auto immune disorders. Yoga has the beautiful component of deep relaxation; as a result stress gets reduced and auto immune disorder gets under control. Deep relaxation is attained through cyclic meditation. Findings of our research reveal that six hours of sleep causes only nine percent rest, which is measured by reduction in metabolic rate, but 30 minutes of cyclic meditation causes 32 percent rest as measured by reduction in metabolic rate. Thus six hours of sleep is not able to relax as much as 30 minutes of cyclic meditation. So the deep relaxation component of yoga makes it exclusive in preventing or curing diabetes, which is an auto immune disorder. Can you please explain what cyclic meditation is and how it can cure diabetes? Cyclic meditation is based on an upanishadic concept. When a person sleeps he starts getting rest as he becomes unconscious. We have measured the amount of rest in sleep as nine percent. In cyclic meditation one does not sleep but one has to awaken it [subconscious mind], stimulate it and allow it to come down. In this process stress gets released. It’s a great secret found in yoga. This is based on the Mandukya Karika of Gaudapada. We understand this mystery and have harnessed it in cyclic meditation. This helps the immune system as it reduces stress levels to the maximum. Initially diabetes was considered as a disease of adults. Now even children are diagnosed with it. Why is it so? Type 2 is essentially the disease of adults of 25 to 30 years and above. The type 1 disease is found in very few people aged below 25 to 30 years – merely one percent of the Type 2 population. They are genetically born with lack of insulin as they have damaged beta cells. Thus their function to regulate the glucose level is hampered. We have not done much research on this, though it can be remedied with the help of yoga. We have done it in a few cases by rejuvenating the damaged cell but have not published it in journals, so we can’t dwell much on it right now. Your findings reveal that disturbed lifestyle is the reason for diabetes. But why is the lifestyle so disturbed today? With the development of science and technology we have developed the habit of a so-called sophisticated lifestyle which is not in tune with the nature. We hardly get into physical activities and our food tastes have changed a lot as we take a lot of fast food. Today fruits and vegetables are not seasonal as they are available throughout the year. Midlife crisis is another reason as it puts too much stress. Ambition to grow high in career as well as family and social pressures are the reasons which are not easy to handle. Thus, too much stress and artificial lifestyle has started hitting back the whole system; as a result non-communicable diseases like asthma, cancer, diabetes, heart attack and depression have become prevalent. All these diseases are lifestyle disorders. What is the basis of your research? What made you conclude that yoga and meditation can control lifestyle disorders like diabetes? Modern science has developed a very strong and accurate research methodology called randomised control trial. We measured all the parameters. We included yoga for a group and excluded yoga for a control group and found out all the parameters. We measured sugar, lipid profile and everything. What we found was that the yoga group showed much better results than the control group. In control group normal suggestions are made, such as lifestyle change and exercise. We observed that one hour of yoga brings tremendous change in the condition of diabetic people whereas one hour of exercise in the control group brings some change but cannot cure the way it works for the people who do yoga exercises for one hour a day. The project has been named Madhumeha Niyantrita Bharat Abhiyan. What are its aims and objectives? Earlier it was called Stop Diabetes Movement; now it has been scaled up and named Madhumeha Niyantrita Bharat. We achieved good results with yoga in the last 40-50 years and our 24-25 research papers have been published in a good journal. We have the Arogyadham (ayurveda treatment centres) where people in small numbers come and have experienced wonderful results with the help of yoga in the last 40 years. India is going to become the diabetic capital by 2025, which has raised concerns throughout the country. The prime minister, after celebrating the international yoga day, has given us the mandate to take up the project. The government as well as all yoga institutions were asked to handle the project in a big way. We reached 60 districts across the length and breadth of the country and screened 2.5 lakh people. About fifty thousand diabetics and pre-diabetics were taught yoga. It has shown the best results which we are going to publish in a leading journal. The idea is to bring the upward curve down. This is possible if borderline cases, called pre-diabetics, are checked at the primary level and this is called primary prevention. Thus, the aim is to stop and curb the diabetes curve so that we can make the nation healthy and prosperous. The project was started in 2016. How successful has it been so far? What challenges have you faced in convincing people that non-communicable diseases are a lifestyle disorder and can be cured through yoga? It has been more than a year and that’s why we are more confident. Our research findings are not based on findings of a laboratory or on the basis of treatment of a few patients of a particular city or region. We have come across people from 60 districts and three months of yoga practice have shown miracles. It is not easy to organise at such a big scale but with the help of the government we are confident to make the curve horizontal. In the yoga group pre-diabetics become less diabetic and in control group pre-diabetics become diabetic. In the yoga group 100 percent diabetic become 10 to 15 percent and mild diabetic are becoming normal. Now the idea is to incorporate this at base level and it has to be observed at each and every level. Our research paper is clearly showing that after five years curve will be horizontal.